Funny thing about the holidays…just as you begin to put your feet up and enjoy another cup of eggnog, admiring the beauty of the snowfall and twinkly lights, the countdown begins and the anxiety of the season sets in. There’s a lot that goes into gift giving. It starts with scheduling the time to go shopping, scoring a parking spot (if you’re lucky to get one at all), finding a store that might work, and then discovering they are all sold out of the one gift that had any potential. Sound familiar? Luckily, we’ve made it stress-free. And guess what? You don’t even have to leave your house! Avoid the traffic, the snow, the crazy lines, and simply chill at home, grab another piece of pie and pursue our site for apparel worthy of anyone on your list. We truly have something for everyone! To help make your shopping that much easier this year, we’ve put together a list of our best sellers and included a few of our personal favorites. 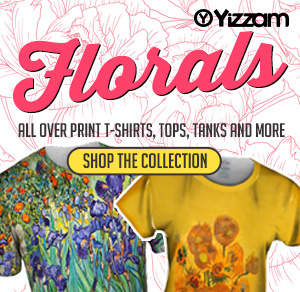 So throw another log on the fire and cozy up to Yizzam.com! The mistletoe may be up and the snow may be falling down, but this classic Monet print makes it possible to enjoy spring all year ‘round. 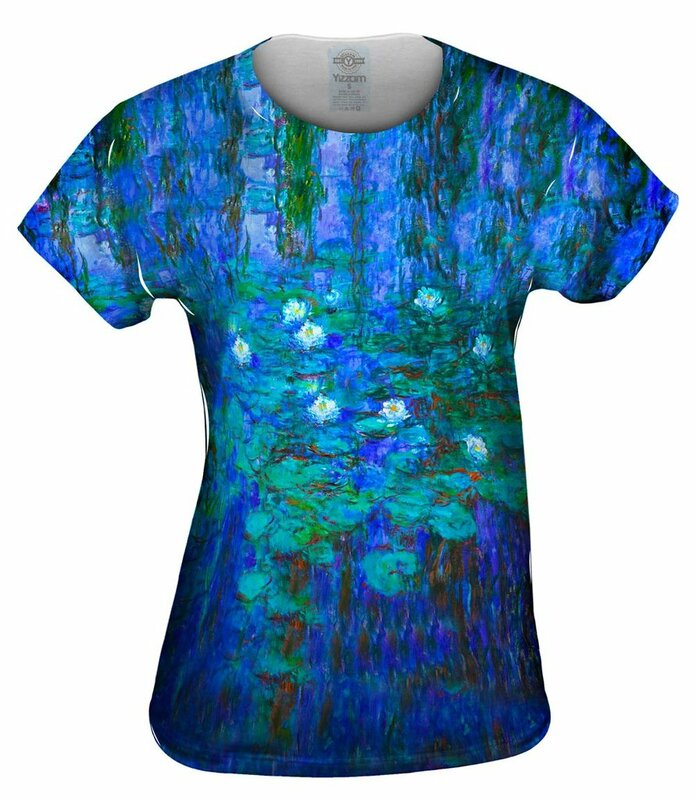 As one of Monet’s masterpieces, the brilliant blues and gorgeous greens, are the very essence of French Impressionism, and look just as good hanging on a wall in a museum as with a pair of jeans. Give this top to that special someone who is a breath of fresh air in your life. 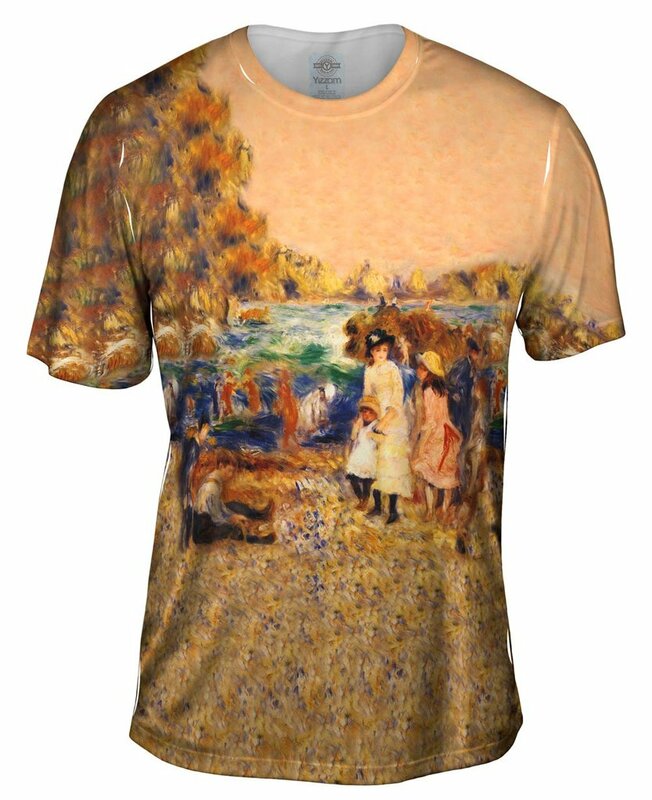 We have something for the man in your life who loves French Impressionism, too. The artist most often known as Auguste Renoir, enjoyed painting varied landscapes and beaches. During the summer of 1883, he traveled to Guernsey, an island in the English Channel. One of the many stunning paintings from his trip was this fabulous beach scene. It makes the perfect gift to say “Wish you were here!” to your favorite beach bum! 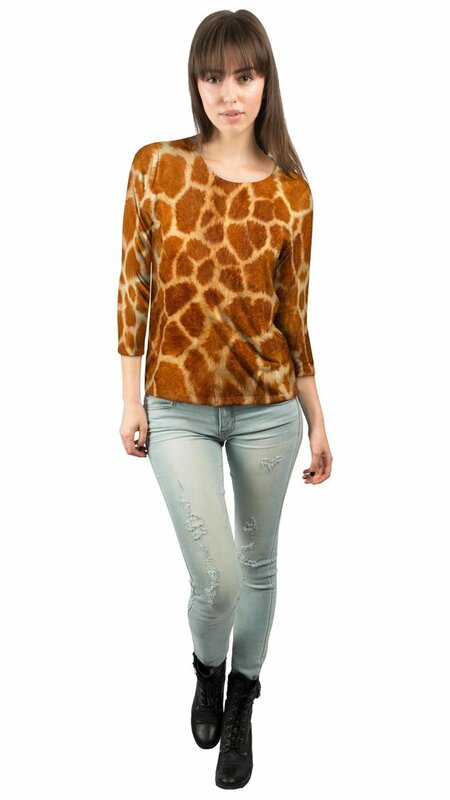 Maybe it’s because they look so cute in scarfs, but giraffes are all the rage this winter. This beautiful pattern effortlessly pairs with black skinny jeans or an A-line skirt. Or, add a pop of color with a red cardigan or bright purse. There’s really no limit to the possibilities of this great gift. Know a brunch guy? This t-shirt is dripping with the qualities of a perfect gift. Who can say no to a huge stack of pancakes dripping with butter and syrup? 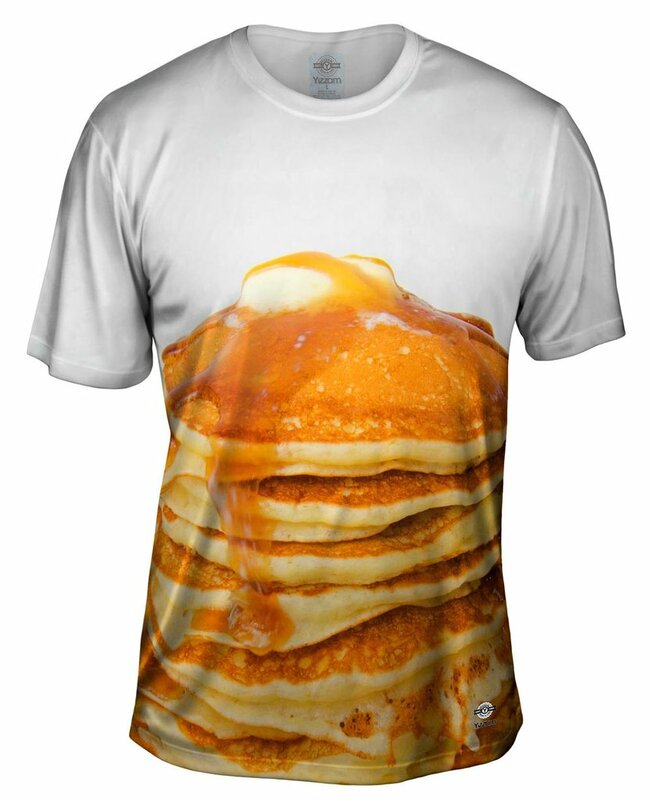 Whether they wear this while making their own pancakes or in line at their favorite pancake house, this shirt is exactly what they are craving this holiday season. As fun as it is comfortable, this all over print t-shirt is always a big hit. One of the Greek Constellations, this galaxy is in the northern hemisphere. If you don’t want to cough up some serious coin for a telescope, give them the next best thing with this beautiful all over print t-shirt. It will look great paired with anything they already have in their wardrobe. When the holiday lights are taken down, this star-studded top is sure to keep the night glowing bright. (Note: this top doesn’t actually light up, we were just being super descriptive). For that person who just isn’t in to the holiday spirit, we bring you this. See, we told you we have something for everyone! 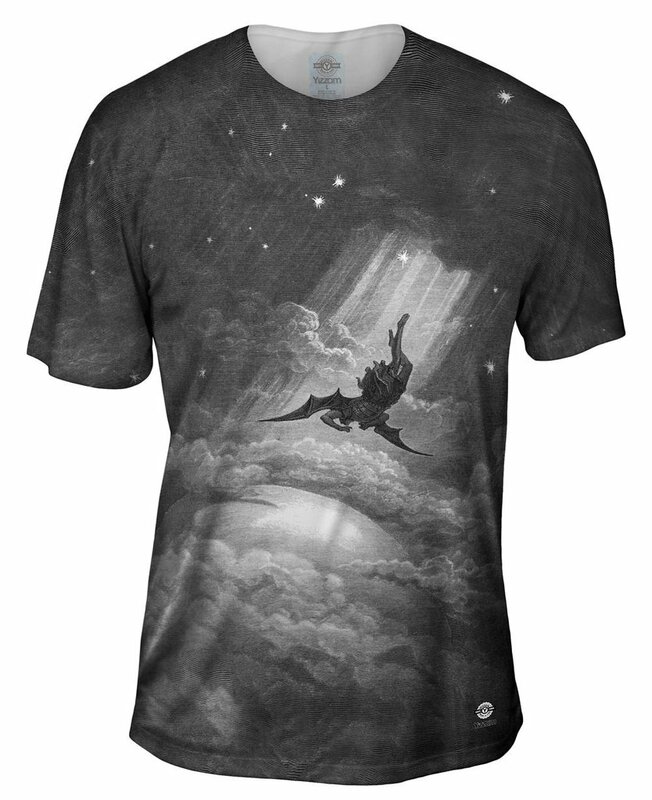 This piece by Gustave was told to be too risqué as it depicts Satan’s fall to earth. One of Gustave’s more well-known illustrations, this picture speaks 10,000 words – at least. Just like so many before it, this piece is colorless and dark. Yet, the greyscale effortlessly matches the dark and hopeless scene. Not exactly a cheery holiday gift, but perfect for a recipient who appreciates art filled with depth and emotion. 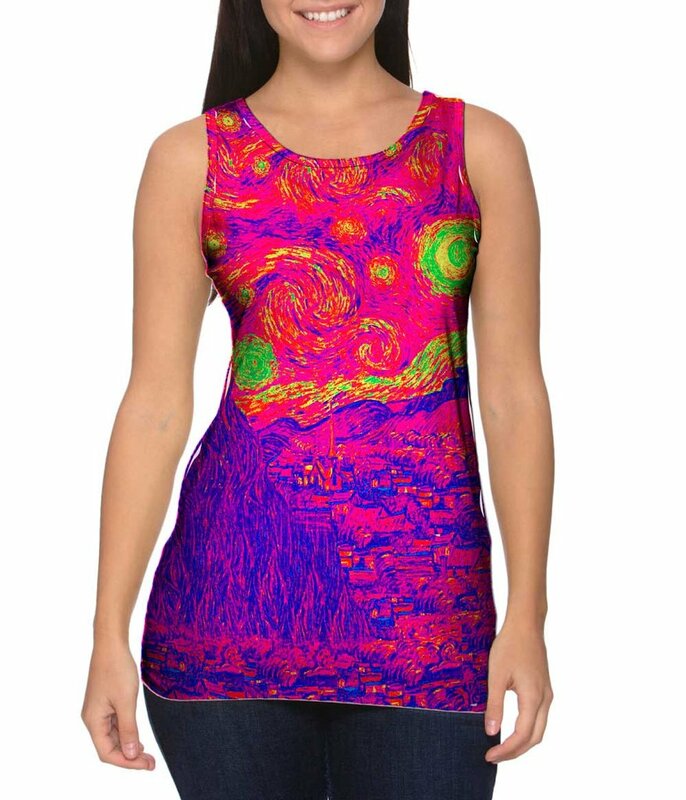 This all over print t-shirt will look great with their favorite pair of jeans and their smile of appreciation for totally “getting” them. Move over poinsettias, there’s a new red in town. Van Gogh’s red poppies were painted in Paris in 1886. This is the ultimate gift for the hopeless romantic in your life. Van Gogh is famous for his flowers and creating them to appear to practically come out of the painting. Although snow may be in the forecast, it’s always springtime when your favorite recipient is wearing this stylish all over print top. Is an African safari on their wish list this year? Skip the airport and lost luggage and give your favorite adventure-seeker something just as authentic. 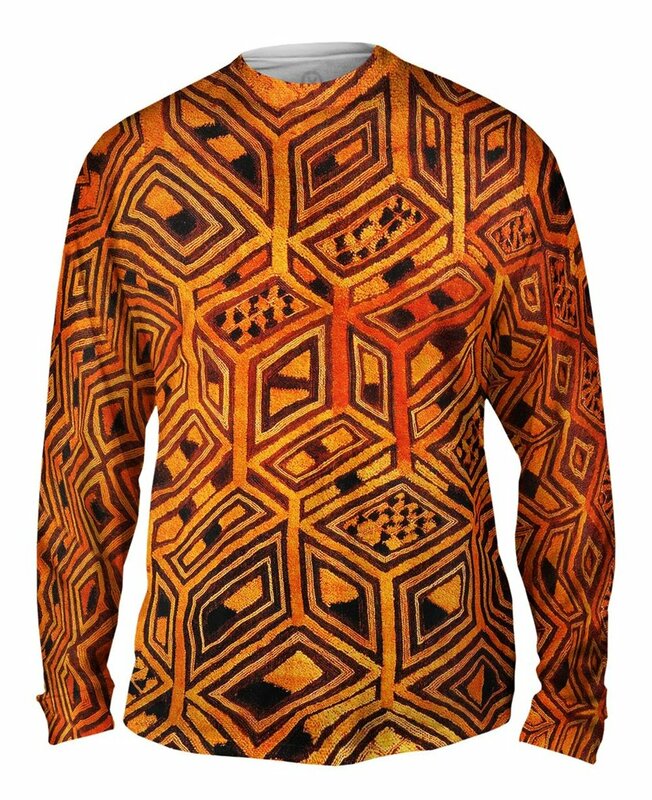 Our African tribal Kuba cloth print is a wardrobe essential that works well for any occasion. From jeans to khakis, there’s no doubt this will shirt is exactly what he wants. Da Vinci fans and art aficionados alike will absolutely love unwrapping this one. With a rich history shrouded in mystery, this all over print top is a wardrobe essential for anyone on your list. A fun conversation starter, and absolutely stylish, this one will quickly become their favorite any time tee. 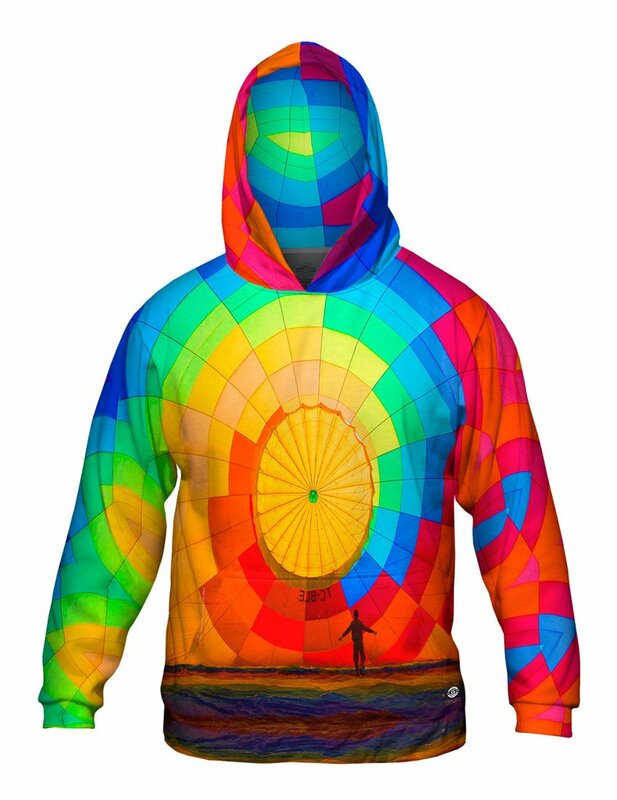 Forget seasonal depression, this hoodie is all it takes to brighten any winter day! With the vibrant and colorful colors and joy that hot air balloons bring, this all over print tee is one they will never want to take off. For the quirky and imaginative person on your list, this one is sure to be a big hit! Know someone who loves The Starry Night and all things Pop Art? We’ve got you covered! We’ve taken the infamous print and gone pop art with it. This look is as wild as it is comfortable. 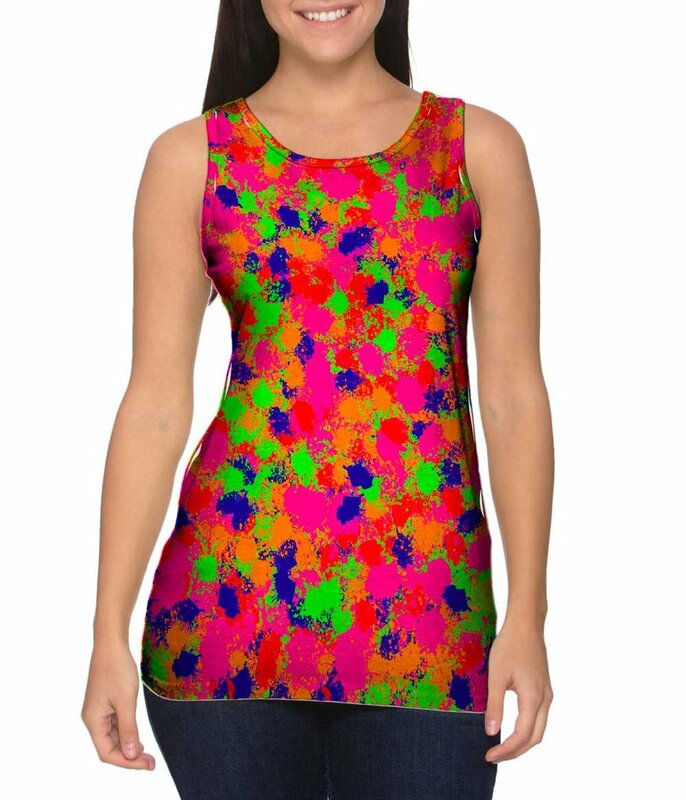 Stylish and perfect for any occasion, they will love wearing this tank day or night. We have this one in a lot of different colors, so make their season bright and be sure to check out the whole collection. 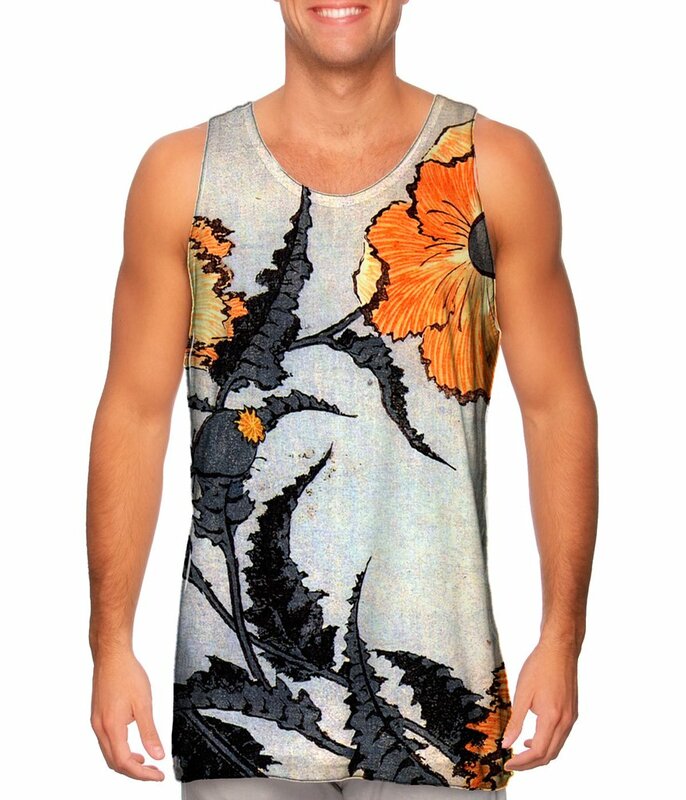 This is one of our best-selling men’s tank tops and it’s easy to see why. This classic print distills the power of the ocean with a stunning two-dimensional image that is as deceptively simple as it is mesmerizing. Grab one of these tanks for that special someone and catch a wave! Got a friend who enjoys the crunchy, garlicky, fermented cucumber goodness of dill pickles more than the next? 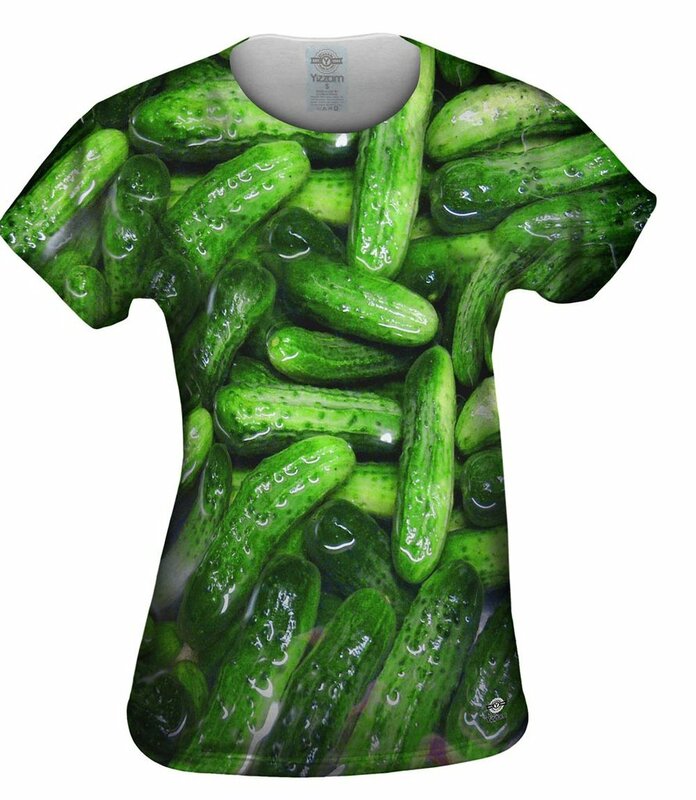 Then this Kosher Dill Pickles Womens Top is the perfect addition to their wardrobe. This unique top will surely be one of their favorite gifts this year. Any cuddly guy would love to unwrap this fun and lovable tank. 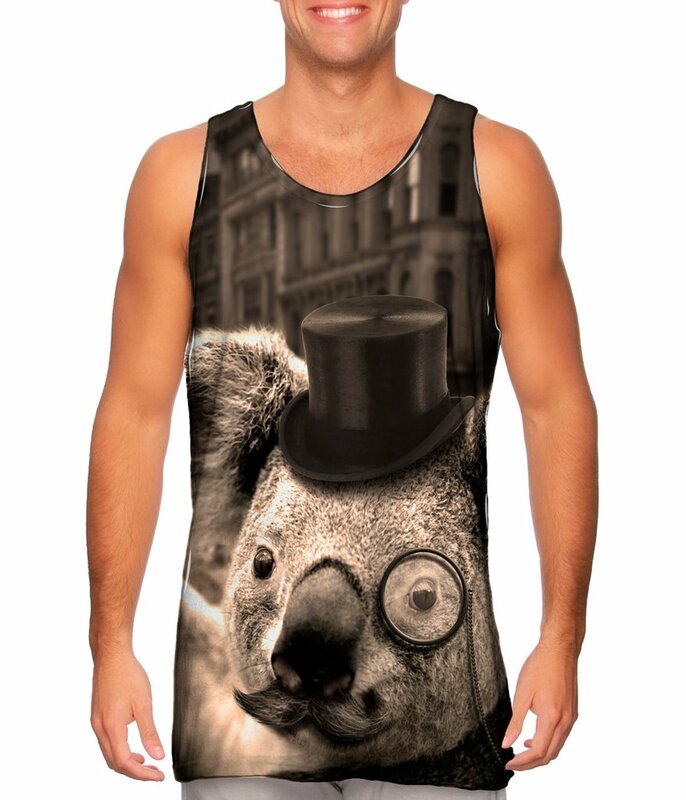 The adorable koala on this tank wants to be taken seriously, but just like your friend, not too seriously, of course. There’s nothing more lovable and unique than a delightful koala wearing a top hat and a monocle. New Year’s Resolutions don’t start for another week! 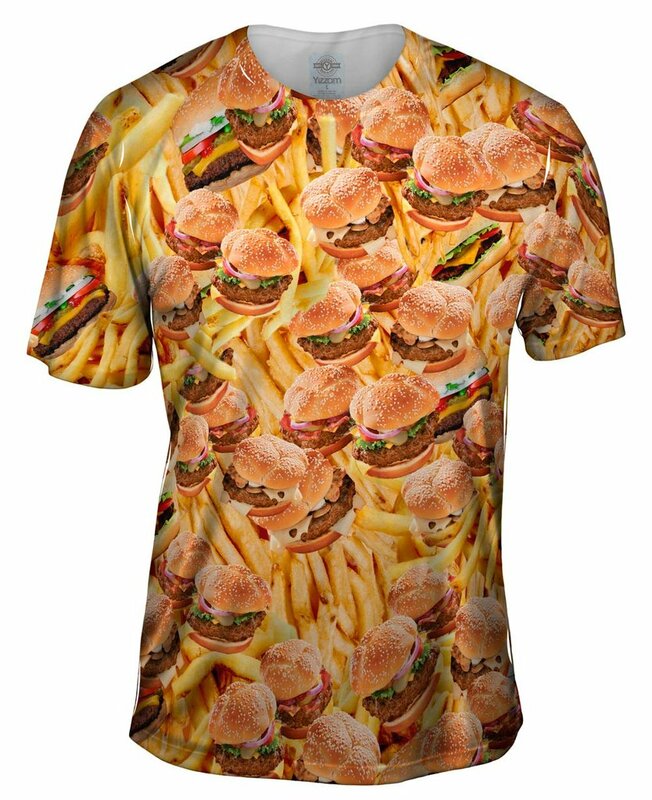 This one is perfect for that person on your list who has both an appetite for juicy burgers and trendy fashion. Satiate their need for a super cool wardrobe by wrapping this all over print t-shirt for anyone who is hungry for a different type of gift this year. Art is all about self-expression and getting a little wild with your creativity. What better way to go over the top than by splattering it all over the canvas? That carefree artistic approach is exactly what we captured in this colorful print. Give this to them to pair with a blazar or cardigan for those chilly days that require a little extra color.